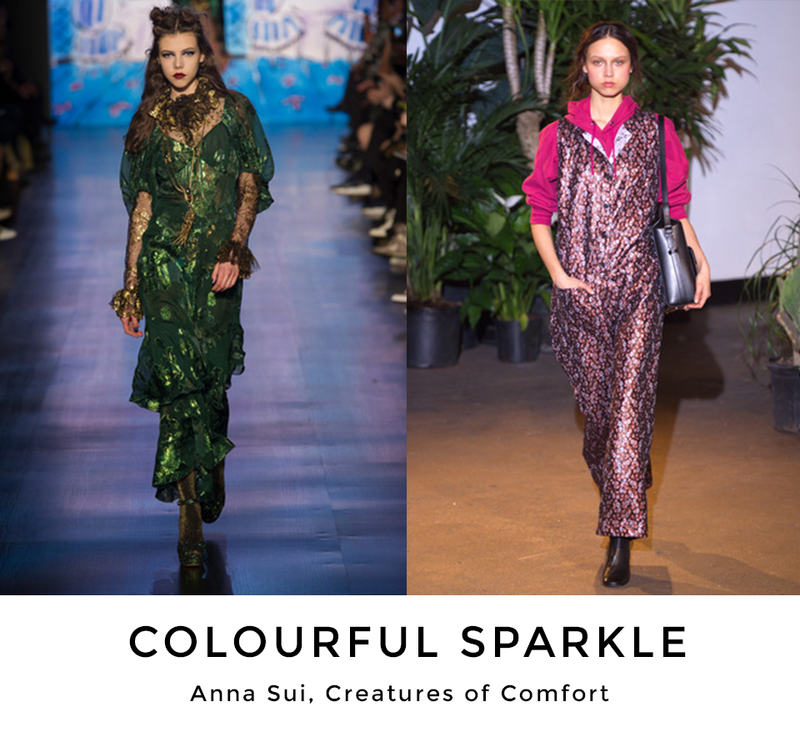 There was sparkle on the New York runways. 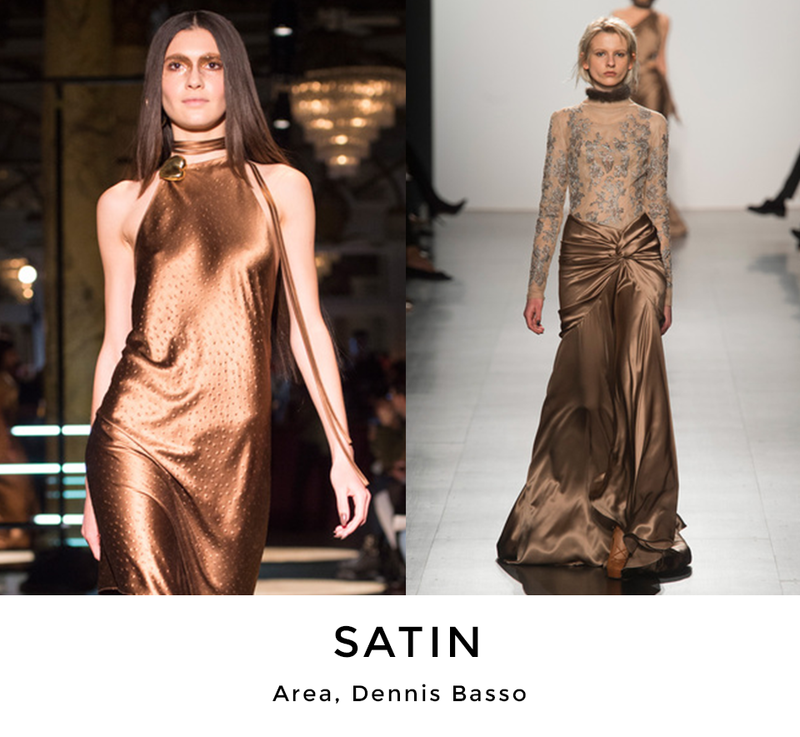 Not only evening dresses shone in gold, silver, bronze, and copper, coloured metallic fabrics added even more shine. Daytime fashions were equally as enamored with a glitter glam effect. Colourful furs and feathers upped the ante further. Velvet and satin continued its successes from last fall with more colour options. Navy and wine were favourite shades besides black. Fur trims added sophistication to simple man-tailored suits and coats. Add-on details ranged from Victorian romantic silk frog closures to contemporary patches. And on a quiet note there was grey flannel, albeit in non-traditional designs.